DNA marker analysis has a sensitivity approaching 100%, if sufficient markers are informative. However, with the large number of available DNA markers for each chromosome, finding informative markers usually is only a matter of using higher marker density. 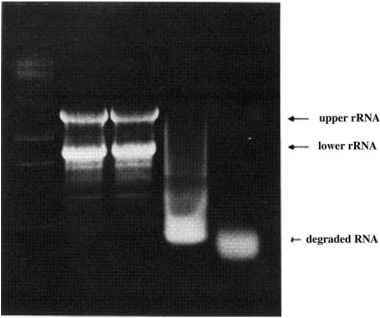 Segmental disomy may potentially be missed if it involves a chromosomal region that coincidentally is not investigated. The specificity of DNA marker analysis should be 100%, assuming the markers have been correctly mapped to the appropriate chromosome. Because meiosis I nondisjunction occurs more frequently than meiosis II nondisjunction, heterodisomy will be detected more often than isodisomy. The centromeric regions of heterodisomic homologues nearly always retain heterozygous regions but, crossing over in distal segments may result in homozygosity or heterozygosity. Therefore, informative DNA markers from the centromeric region will be heterozygous, but more distal markers may be heterozygous or homozygous due to recombination events. Isodisomy results in homozygous markers near the centromere, while more distal markers may be heterozygous (partial isodisomy) or homozygous (complete isodisomy). Isodisomy for one chromosomal segment and heterodisomy for another is not uncommon and results from meiotic recombination. In addition, UPD may be detected in only one chromosomal segment in juxtaposition to segments inherited biparentally due to mitotic recombination. Thus, it is important to study markers located near the centromere as well as more distal markers to fully clarify the origins of UPD.